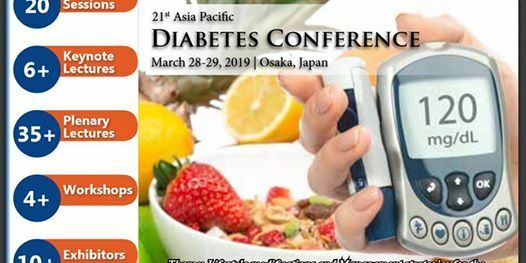 Conference Series invites the worldwide global audience and presenters to participate at the 21st Asia Pacific Diabetes Conference which is to be held in Osaka, Japan during March 27-28, 2019. Special interest and theme of the conference is “Lifestyle modifications and Management strategies for the prevention of diabetes”. There are two major types of diabetes. In type 1 (formerly called juvenile-onset or insulin-dependent) diabetes, the body completely stops producing any insulin, a hormone that enables the body to use glucose found in foods for energy. People with type 1 diabetes must take daily insulin injections to survive. This form of diabetes usually develops in children or young adults, but can occur at any age. Type 2 (formerly called adult-onset or non-insulin-dependent) diabetes results when the body doesn’t produce enough insulin and/or is unable to use insulin properly (insulin resistance). This form of diabetes usually occurs in people who are over 40, overweight, and have a family history of diabetes, although today it is increasingly occurring in younger people, particularly adolescents. Diabetes Asia Pacific 2019 aims to provide an opportunity to share knowledge, expertise along with unparalleled networking opportunities between a large number of medical and industrial professionals in this sphere. The meeting gathers renowned scientists, physicians, surgeons, young researchers, industrial delegates and talented student communities in the field of diabetic medicine under a single roof where networking and global partnering happens for the acceleration of future research.This conference is an international platform for presenting research about diabetes management and therapeutics, exchanging ideas about it and thus, contributes to the dissemination of knowledge in management of the disease for the benefit of the society. Diabetes Asia Pacific 2019 is where the future of management and novel therapeutics for the disease intersects. 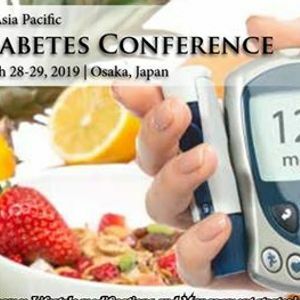 Diabetes Asia Pacific 2019 highlights the theme “Lifestyle modifications and Management strategies for the prevention of diabetes” Which emphasis on the latest advancements in prevention and treatment cure of various metabolic diseases which may be due to diabetic and endocrine complications and provides robust discussions on methods and strategies related to diagnosis, prevention and management of metabolic disorders as well as explore new ideas and concepts for treatment of Endocrine Complications..
Diabetes mellitus type 2 is an epidemic health problem, affecting more than 150 million people worldwide. This number is expected to double in the first decades of the third millennium. Recently, evidence for reduction of complications of type 2 diabetes with tight control of hyperglycaemia has been reported, but current therapies, including diet, exercise, behaviour modification, oral hypoglycaemic agents, and insulin, rarely return patients to euglycemia. Morbid obesity, in which patients exceed their ideal weight by at least 100 lb or are more than 200% of ideal body weight, is a condition with high mortality and morbidity because of its association with severe comorbid diseases such as hypertension, diabetes, hyperlipidaemia, and cardiopulmonary failure. In these patients, surgery represents the most effective therapy in that it achieves significant and durable weight loss as well as resolution or amelioration of comorbidities. Current indications for surgery in morbidly obese patients include body mass index (BMI) greater than 40 or greater than 35 if comorbidities are present. A clinical trial is an approach to precisely test another Medic*tion or gadget in patients before it is endorsed by the FDA to be utilized in public. Clinical trials are an important and critical step in our having the capacity to have new medications for diabetes and other varied conditions. A case study is a methodology and a strategy that investigates a phenomenon with its real-life context. Case studies and clinical trials are used to develop or assess the quality of the medications being developed. Diet and physical fitness are imperative parts of a sound way of life when you have diabetes. Alongside different advantages, following a healthy balanced diet and being dynamic can enable you to keep your blood glucose level in your objective range. To deal with your blood glucose, you must adjust with what you eat and drink along with physical movement and medications. The quantity and quality of food that you eat, and when you eat are extremely vital in keeping your blood glucose level in the range that your healthcare professional suggests. Diabetes is a common chronic disease that imposes considerable demands on the individual healthcare system. People with diabetes have a higher rate of cardiovascular disease than those without diabetes and are at increased risk for kidney failure, lower limb amputation and blindness. Obesity is a significant risk factor for diabetes and the prevalence of obesity in children and adults has dramatically increased in the past four decades. Diabetic dyslipidaemia is one of the major risk factors for cardiovascular disease in diabetes mellitus. The characteristic features of diabetic dyslipidaemia are a high plasma triglyceride concentration, low HDL cholesterol concentration and increased concentration of small dense LDL-cholesterol particles. In order to investigate the bioinformatics tools and methodologies used to in diabetes research, at first, this was difficult to do because it did not have a preconceived idea about how the research would be organized and how bioinformatics tools would be described or identified in the research. To get started, we ran several cursory searches using basic search terms such as bioinformatics and diabetes (research) through several databases to see what types of articles were returned. In every of these cases, using one's own stem cells will facilitate the exocrine gland regenerate and boost its ability to produce insulin. Procedure continues to achieve success, with patients experiencing health advantages even six months after stem cell diabetes treatment. repeated applications of adipose stem cells is that the most effective treatment for diabetes type two, providing an open window to create dietary changes, supplementation and exercise much more effective for long-term management of blood glucose. Adult stem cells, undifferentiated and adaptable, area unit ready to transform into the cells of innumerable organs and structures inside the body. Public health protects and promotes the health of the people where they live. Public health professionals aim to prevent people living in communities from falling ill and create awareness among them to encourage healthy atmosphere. Vaccinating children to avoid spread of disease, educating them in terms of risk factors and preventive measures, developing nutritional programs etc. 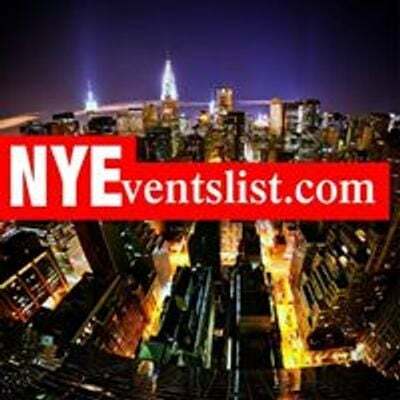 are carried out by people in public health departments. They also shed light on why few communities of people are more prone to a disease than others. Nanotechnology holds a great deal of promise for the world of medicine. It is likely that some of the first truly revolutionary changes noticeable in our everyday lives will be brought about by nanomedicine. the possibilities of nanomedicine include Nano formulations for efficient drug delivery, smart drugs which only activate when needed, engineered microbes which produce human hormones, and even "Nano robots", which would move autonomously around the body acting as a boost, or a replacement, for our immune system, red blood cells, or many other biological systems. Whilst many of these applications of nanotechnology as a long way off, there is a great deal of active research into medical technology - much of which is not very far-fetched. This article explores the way in which nanotechnology could be used to effectively treat, and possibly cure, diabetes - in particular Type 1 diabetes. Type 1 diabetes is a serious type of condition. It is also known as insulin-dependent diabetes. It's occasionally called "adolescent" diabetes, since Type 1 diabetes occurs more often in kids and young people. However, it can occur at any age. It is an autoimmune disease because the body’s immune system attacks its own pancreas and destroys its islet cells. These cells are responsible for producing insulin and maintaining the blood sugar levels in the body. Without insulin, the high sugars in the blood can damage eyes, nerves, heart, kidneys and other parts of the body. Type 2 diabetes is a common condition that causes the level of sugar (glucose) in the blood to become too high. It can cause symptoms like excessive thirst, needing to pee a lot and tiredness. It can also increase your risk of getting serious problems with your eyes, heart and nerves. It's a lifelong condition that can affect your everyday life. You may need to change your diet, take medicines and have regular check-ups. It's caused by problems with a chemical in the body (hormone) called insulin. It's often linked to being overweight or inactive, or having a family history of type 2 diabetes.